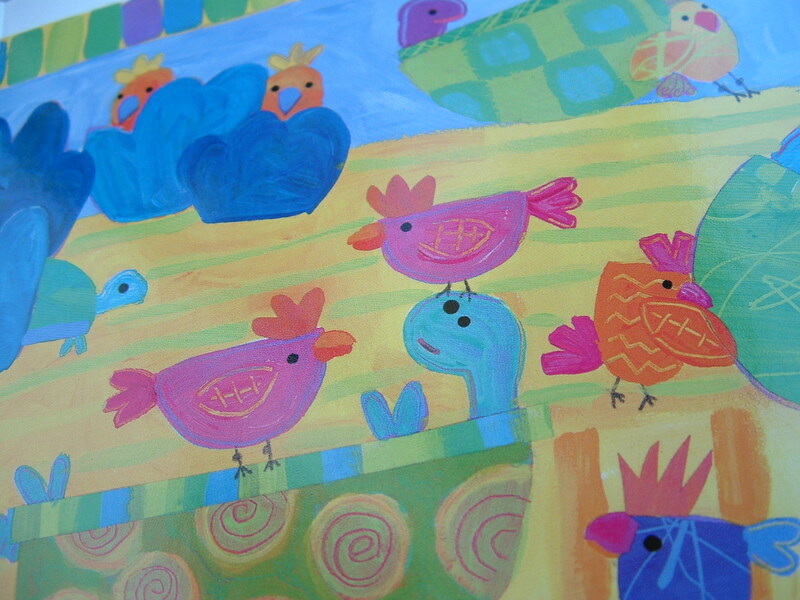 Anyone with toddlers and young children probably have at least a half dozen "counting" books that have cute and interesting pictures, but are pretty much the same as the next one. I went looking Ship Shapes by Stella Blackstone as recommended by Christianne at Little Page Turners because it looked like a great book for doing some shape activities. Sadly, our library system didn't have it, but I did discover Counting Cockatoos by the same author instead. 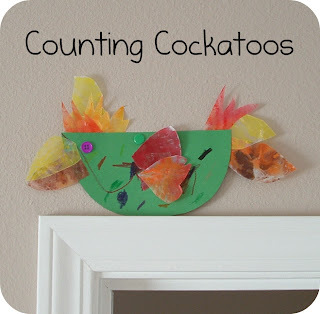 It's a "typical" counting book, with a fun twist. 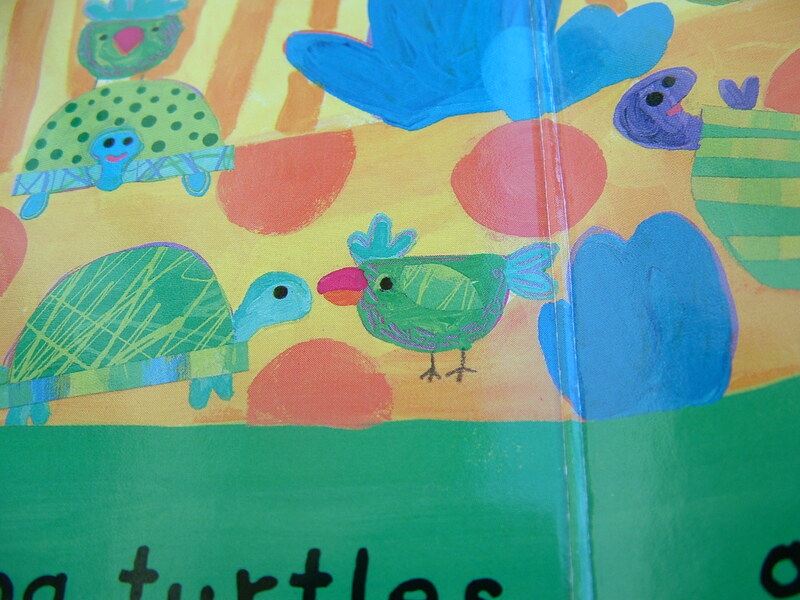 This one has different numbers of lots of different animals, but there are two cockatoos hiding on each page. Little Brother had fun searching for them on each page and it kept him very engaged. The pictures are also really fun and they inspired an art project to go along with it. 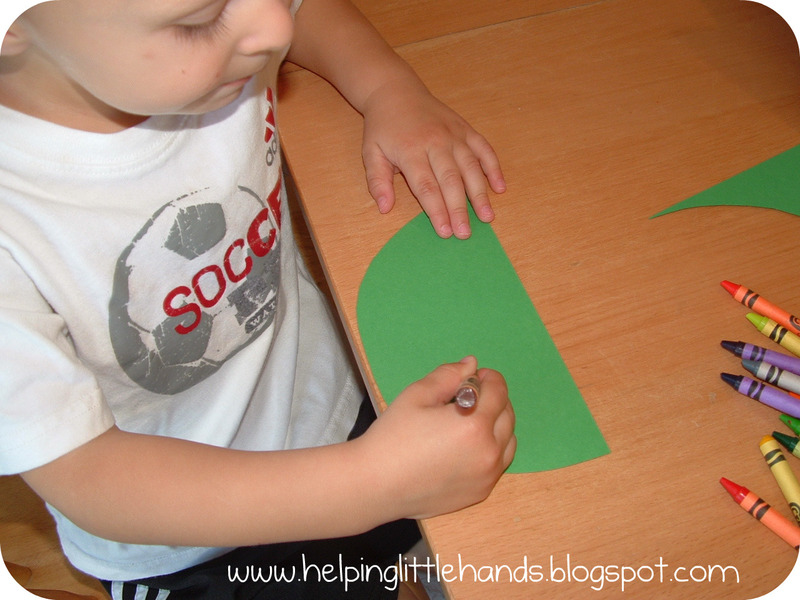 They used basic shapes that were easy to replicate. Here are a few examples of the illustrations that inspired us. 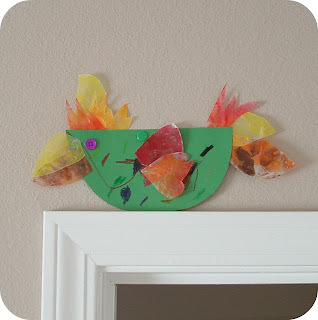 This isn't really a fall season project, but it's still using some of the melted crayon/wax paper scraps from the fall leaves we made for our windows a couple weeks ago. 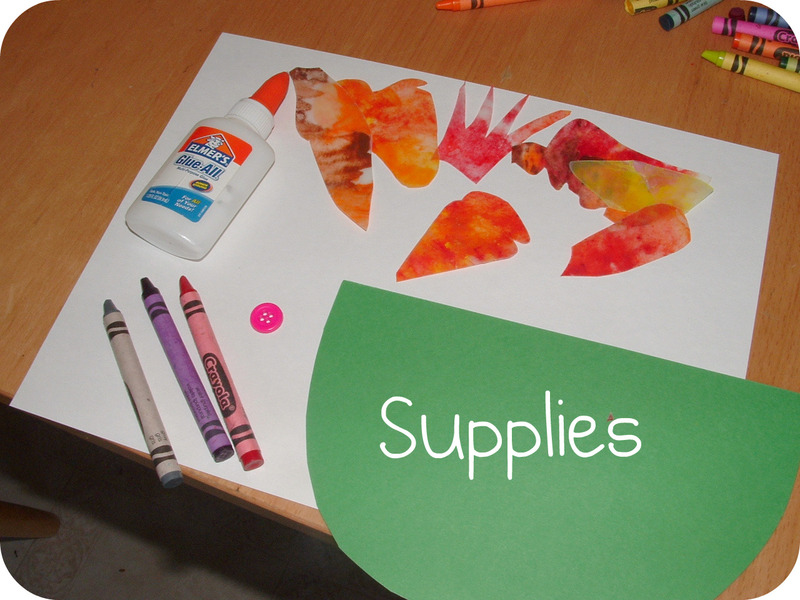 You could always substitute other bright colored construction or scrapbook paper for the wax paper scraps we used. If you want to do this project, here's what you'll need. 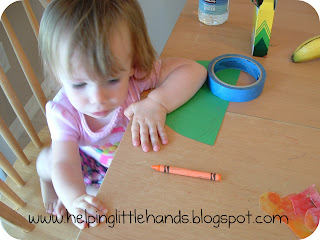 I gave each child a half circle cut from bright colored cardstock. 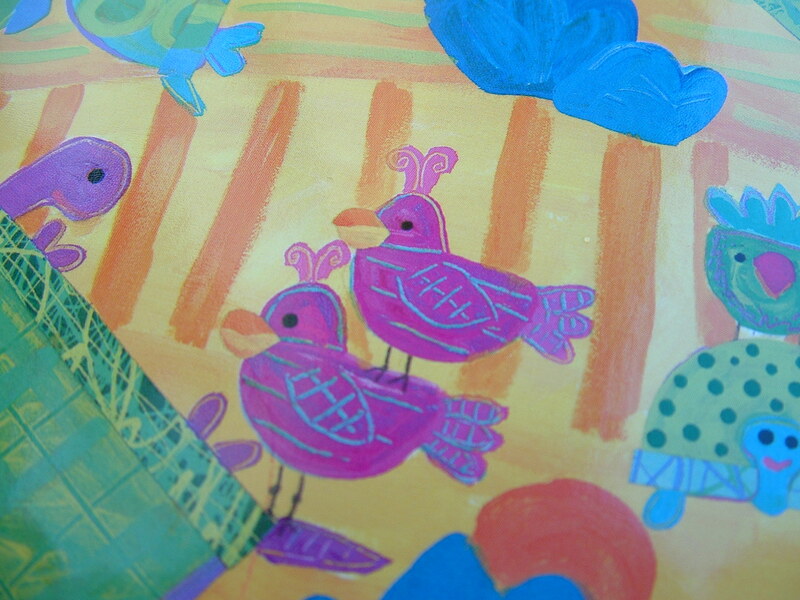 Then I showed Little Brother some of the designs on the different birds and he decorated his with crayons in his own way. 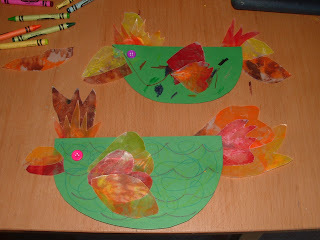 While he was coloring, I cut colored wax paper scraps from our fall leaves project into shapes that would work as feathers. Sweet Pea colored hers a little, but wasn't too interested, so I made a different one for her room, and I'll have her finish hers own if she shows interest later. 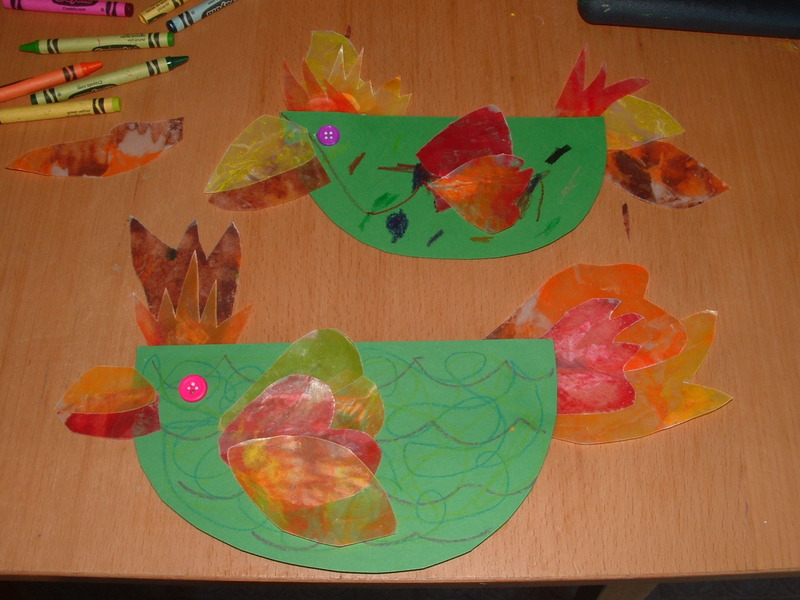 Once Little Brother was finished coloring, I had him choose the wax paper scraps he wanted to use for his feathers, and I helped him with the gluing. Here is what we ended up with. Little Brother's is on top and the one I made for Sweet Pea is on the bottom. A while ago, I saw a couple blogs where people had painted little birds to sit above some of the door frames in their houses. (Sorry! I wish I could remember where I saw them.) I thought that would be fun to do with ours. 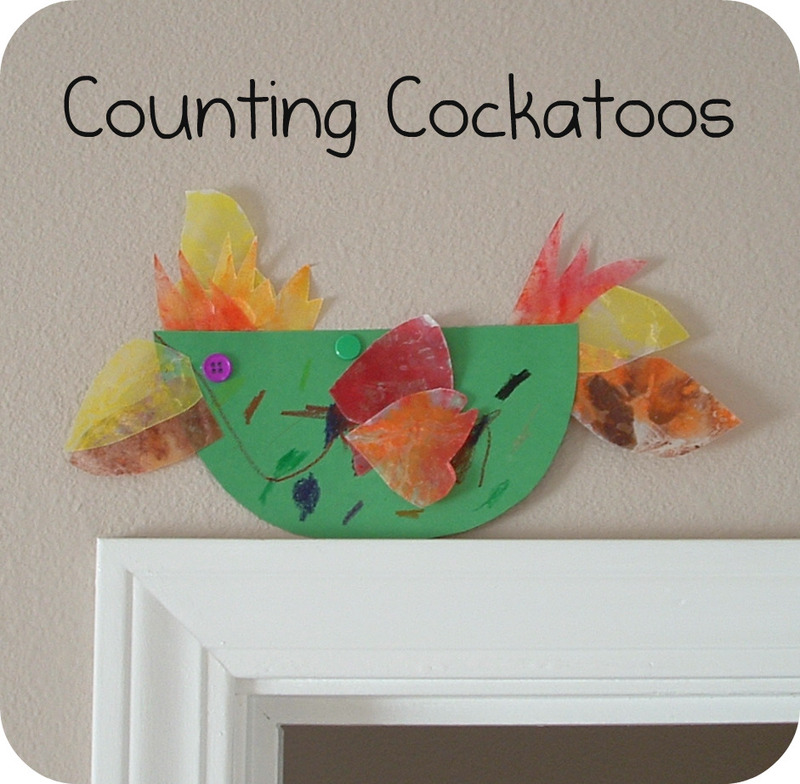 Not only does it keep them visiable but out of reach of little fingers that would pull them apart, but it kind of keeps with the illustrations in the book with cockatoos peeking out from different parts of the pictures. I LOVE your blog. We have started making felt food and you are full of great ideas. 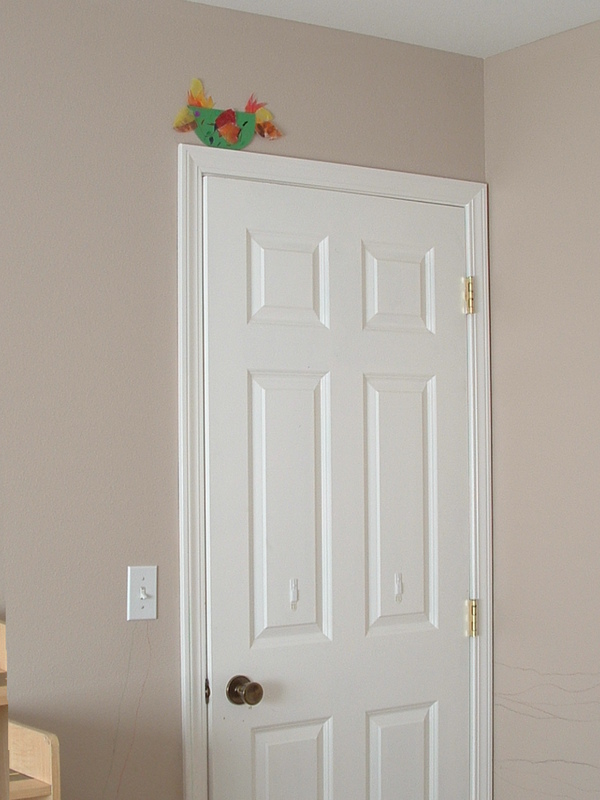 Also, I was looking at the "Projects I Want to Do" links and "Farm Animal Felt Puppets" links up to a Joann ad. Do you have the link to this project? I know I've seen something on a blog, but I can't find it. Thought you might know. Thanks! What a genius idea to put them above the door frames - very playful, I think. The kids must be so proud of their art projects! These are so cute. I would love for you to link to Read.Explore.Learn tomorrow.